150 ground personnel, elephants and so-called expert trackers and shooters have failed in finding Avni the tigress, or as she is officially known, T1. Officially, she is T1, a deadly tigress weighing about 300 pounds believed responsible for 13 deaths over the last 2 years as she prowls through the forests of Yavatmal in Maharashtra. But to people who want to save her, she is Avni, meaning The Earth. She was first spotted in the area in 2012. DNA evidence links her to 5 of the 13 bodies found in the thickets she inhabits. 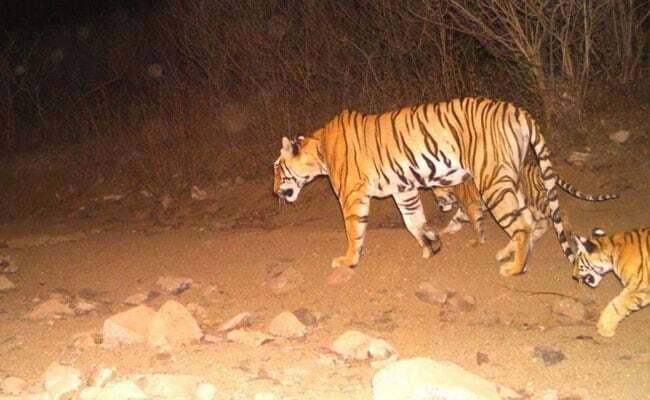 Biologists and the Forest Department officials who have surveyed the area over the past few years say that there is only one other tiger there, a male tiger. His DNA was found on one of the bodies. Last month, the Supreme Court said she could be shot on sight, prompting a flurry of online petitions. Offline, for nearly two months, equipped with the latest technology, 150 ground personnel, elephants and so-called expert trackers and shooters have failed in finding Avni. At stake is the safety of locals, outrage and anger of urban animal lovers, the dismay of experts and biologists, the reputation of the Maharashtra Forest Department and the lives of a tigress and her two cubs who are 10 months old. The villages in this area are very poor hamlets, with the average income of a family not exceeding Rs 15,000 rupees a year. They mainly grow cotton wheat, soyabean and gram. They have to be in their fields especially in the evenings to prevent local wildlife from eating and trampling all over them. The forest where Avni lives is a 170 square km patch and extremely degraded. It is a reserve forest which gives villagers the right to access it for firewood or to graze their cattle. They are breaking no rules by doing so. It is easy for those of us who do not live in and work in places like this to point fingers and say that the tiger is only killing people when they come into her territory, but for the people settled here well before Avni moved in, this is their space, not a national park. This particular area has never really recorded tigers before. This reserve forest patch is part of the greater Vidarbha tiger landscape with two major sanctuaries in the vicinity. The terrain is a combination of undulating land, blank open spaces, dense groves of trees, fields and very heavy lantana growth. The lantana snarls the area and easy movement is difficult. Lantana Camara is an invasive weed introduced in India in the early 1800s by the British. It provides excellent cover for any animal who wants to hide. Avni is taking full advantage of this cover and uses it for ambush attacks as well. Especially after the monsoon when the lantana is at its lushest. "Our first option is of course to tranquilize her and this where we are putting all of our efforts," said Sunil Limaye, a top official of the Forest Department of Maharashtra. "We don't want to kill her but it is getting increasingly more difficult to do so. The undergrowth in the area due to the lantana is so dense that one can hardly walk through it and if the tiger moves through that, to get a clear shot with a tranquilizer is practically impossible. Also, if we do tranquilize her and she moves through into the lantana and then passes out, it will also be difficult to find her. We don't have a clean line of sight," he admitted. Mr Limaye who has been one of the driving forces behind mitigating conflict with leopards in and around Mumbai's Borivali forests by getting regular citizens involved in understanding the leopards and thereby allowing for better shared spaces, said that the people in this area, while aware that there might be some occasional tiger movement, have never had to live in such close proximity with them. Five elephants were brought in as a patrol squad to navigate areas that jeeps cannot. But "it is very hot and very humid and the elephants can only do three to four hour stretches at a time before they get very tired"
But there is also a peculiar sense of the circus in trying to trap Avni. Five elephants were brought in as a patrol squad to navigate areas that jeeps cannot. But "it is very hot and very humid and the elephants can only do three to four hour stretches at a time before they get very tired," Mr Limaye said. One of the elephants broke away from its tether, went wandering through the forest at night and killed a local woman. 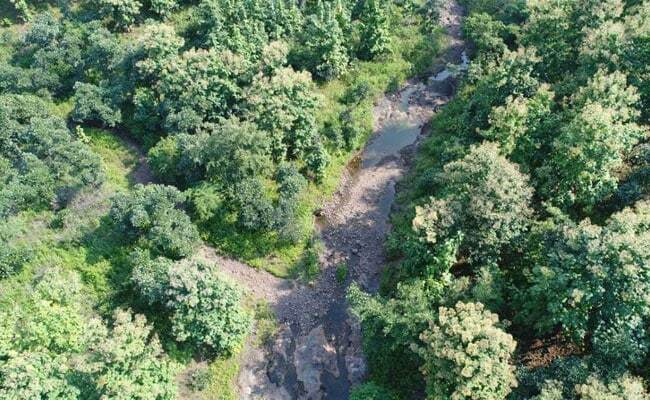 "It was not like the elephant went on a rampage or anything like that, but the lady who was in the area for whatever reason must have bumped into the animal or got in its way," said AK Mishra, the principle chief conservator of forests, Maharashtra. Fearing repercussions with already upset and angry villagers, the elephants were sent back. The next new idea was at the behest of golfer Jyoti Randhawa, who arrived on location with two of his Italian Corso breed dogs, insisting that they were excellent trackers, which is possible, but who were clearly inexperienced in wilderness where hundreds of smells abound. After a few days of no success, he left. "We are open to all help and ideas. 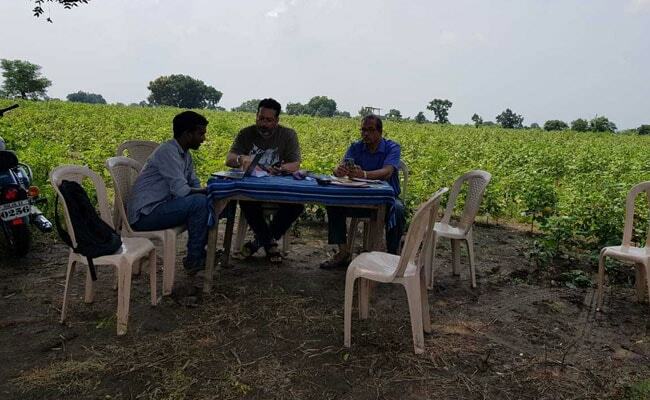 You see, this operation could take months, maybe the rest of the year, so we are trying everything," said Mr AK Mishra. Then, in perhaps the most bizarre turn of events, the Calvin Klein cologne, Obsession for Men, was sprayed in locations near cameras hoping that Avni would then be spotted and could be tracked. The cologne has shown signs of attracting jaguars in America, say some scientists. Unsurprisingly, Avni, who has not even attempted to take the little pigs camouflaged in greenery left around like little appetizers for her, has not fallen for the Calvin Klein bait. "Yes, we sprayed this cologne near and around many of the camera traps, but I don't think it is working," said Mr Mishra. 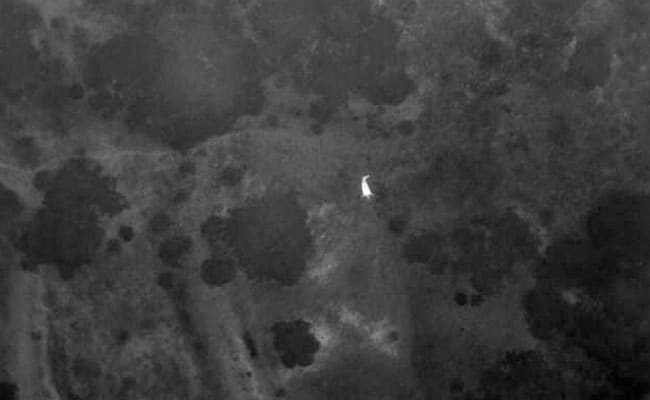 Drones with thermal imaging capabilities have been flown over the area at times when the surrounding temperatures were cool enough to show heat signatures in the forest and these too have been unsuccessful in locating Avni. The icing on the cake is the invitation to Shafat Ali Khan, a celebrity hunter and sharpshooter. Known as the Nawab, he has called T1 a terrorist and a murderer. This so-called expert has made bold claims of the Forest Department being "incompetent" and has also said that as people and big cats cannot co-exist, there will be a time when the tigers will have to be culled. He also claims to have studied the "psychology" of tigers for 40 years and says he can identify a man-eater based on its body language. However he did say he has no real desire to shoot and kill the tigress but will do as ordered. So far, he has been unsuccessful. There are also over a hundred people in the area looking for her. A tiger will hear one person coming from a mile away. A 100 are a racket of rock show proportions; being a mother, Avni will be extra vigilant. The situation is also heavily politicized. 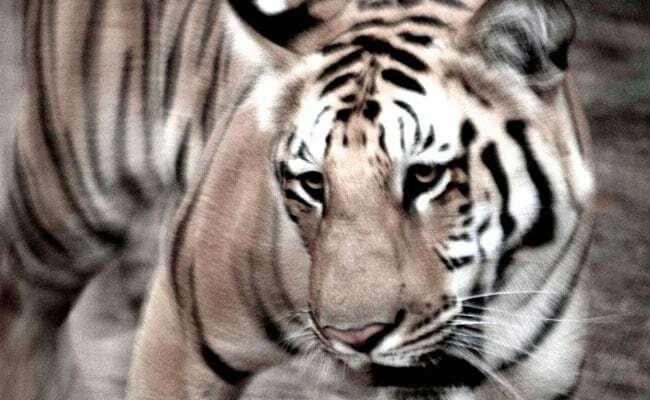 Local politicians both from the Congress and the BJP have demanded that the tigress be shot, with the state Congress chief going as far as to ask that the army be brought in. The order to shoot the tigress was given in January 2018 after she was suspected of killing ten people. It is now October and the wily tigress has evaded all attempts at capture, tranquilizing and shooting. She is clearly a very wary animal having probably grown up and moved in human-dominated landscapes. While she has killed people, it is wrong to call her a man-eater. One of the bodies was found partially consumed recently and it is suspected that her cubs may have also have fed on it, but it means nothing. All carnivores are opportunistic predators and invariably their human kills are an accident. It is widely accepted that there is no such thing as an unprovoked attack, in that there is usually human error involved from being in the wrong place at the wrong time, to doing something that triggers a fight response in an animal to outright harassment. It is possible that her first few kills occurred when she was aiming for livestock and the owner of the said animal either tried to chase her away or got in her way. Dr Vidya Athreya, a wildlife biologist and specialist in leopard behaviour and conflict with carnivores says that "There are large gaps between the attacks - and that is not typical man-eater behaviour. The Vidarbha region with its tigers is a hunting ground for poachers, and there is a lot of human activity which can unfortunately lead to situations like these. We don't do enough long-term monitoring of the animals that are outside of our protected areas." The two most worrying kills were the two people she killed in this year while they were working in their fields. Both the people were attacked in an ambush and grabbed by the neck. A classic kill method. Both times, several other people and vehicles chased her off the bodies that she tried to drag into the forest. As for the other people killed by Avni, it is easy to say that they should not go into the forest, but they have to for their firewood, to graze their cattle and their toilet needs. In a somewhat similar case, a tigress responsible for killing two people and mauling four others in the Brahmapuri district near Tadoba barely a 3-hour drive away, was captured last year. Initially, the plan was to either shoot her or capture and relocate her. Then, like now, animal lovers filed a PIL against the shooting. She was captured and then again under intense public pressure, an expert committee ruled she was not a man-eater, and the tigress was released into the Bor tiger sanctuary. Relocating a big cat is always a problematic move especially when they are released in areas they are not familiar with. This makes them more aggressive and stressed and is a bad idea all around. The tigress almost immediately started to move out of Bor, ended up killing two more people and finally died when she hit an electric fence while evading capture in a field. All this while she was being monitored 24x7. As Dr Anish Andheria, a wildlife biologist and carnivore specialist said to me, "One cannot celebrate the fact that our tiger populations are growing in number when we know that this means they will disperse out of protected areas and then move through human dominated landscapes. There are no clear management plans or protocols in place to deal with this. In areas outside of national parks, while prioritizing human movement and activity, there must be a clear-cut plan for monitoring the animals and clear guidelines need to be put in place or coping with carnivores. This is imperative to minimize conflict." It must also be acknowledged that most of the local people who live in and around forests have regard and even concern for the wild animals in their midst and for the most part, it is a live-and-let-live attitude. It is a tricky ask to get people and large carnivores to live together but if that is the reality and we don't want to lose our tigers, then it is time to stop only focusing on protected areas and to start paying attention to the connected corridors, the paths taken by the animals as they move, the behaviour of the animals and the needs of the local people. 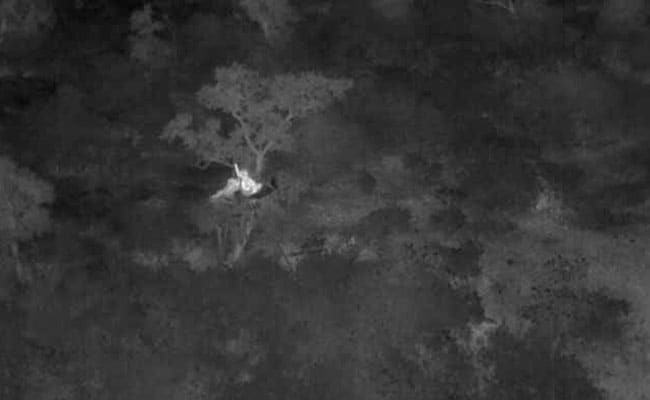 In T1's case, as far as conservation goes, whether she is shot or captured and removed, that is the end. It is also a well-known bone of contention between biologists and people that for the sake of one tiger, putting the entire species at risk is unacceptable. If local tolerance turns, dozens of tigers could be killed in retaliation. It is a tragedy that a beautiful tigress will either be killed or removed. It is a bigger tragedy that her cubs too will be removed. But it will also be a tragedy if we stay insensitive to the lives of people already marginalized. Perhaps in letting Avni face her fate, we can truly learn some lessons.